1 Day to Go! 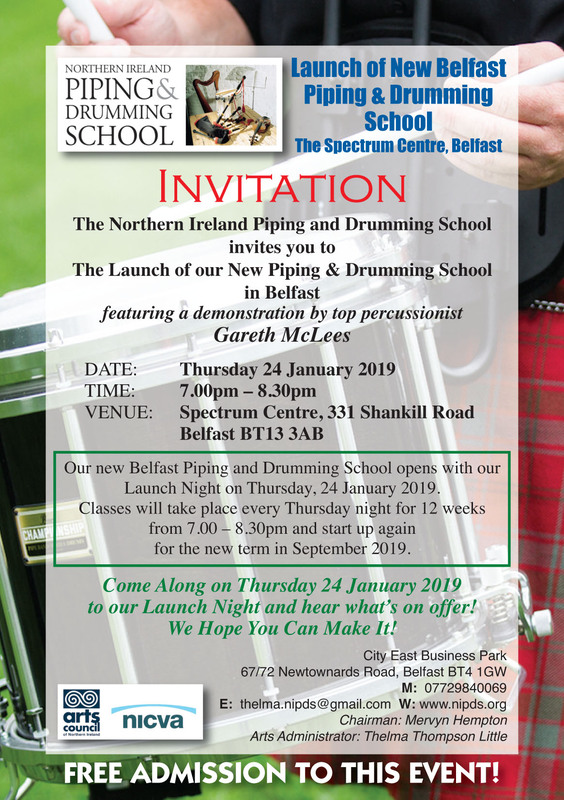 – NIPDS Belfast Piping & Drumming School – Opens Thursday 24 January 2019! Everyone Welcome – See You There! New Term 2019 – Starts Saturday 12 January – Enrol Now! 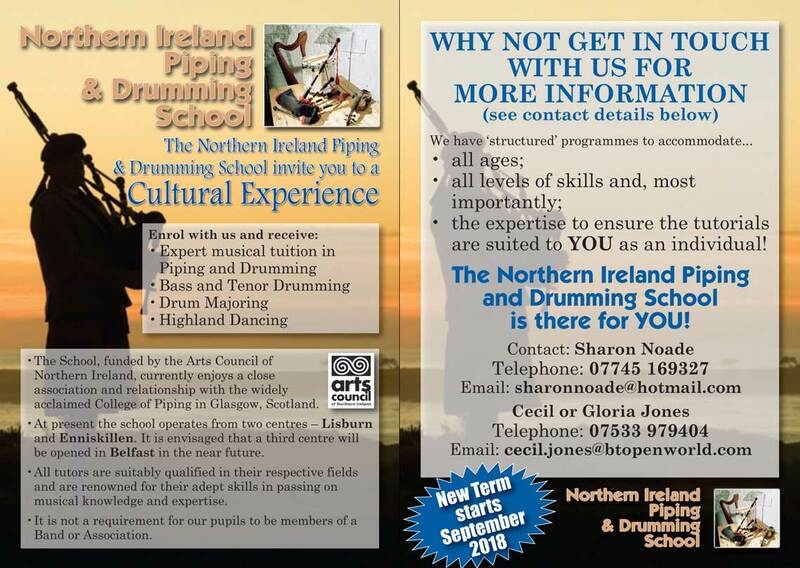 Still time to enrol for our new Term – Starting January 2019! The NIPDS is an associate college of The College of Piping, Glasgow.